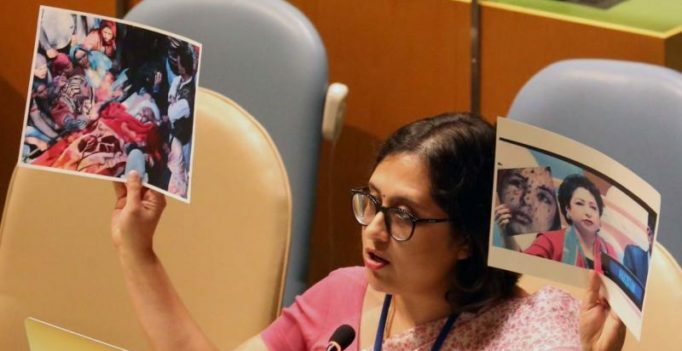 United Nations: India on Monday slammed Pakistan for using a “fake picture” in the United Nations General Assembly to push a “completely false narrative”, a day after its Permanent Representative presented an image of a girl from Gaza as a victim of pellet guns in Kashmir. Exercising her right to reply hours after External Affairs Minister Sushma Swaraj blasted Pakistan for its support to terrorism, Pakistan’s Permanent Representative to the UN Maleeha Lodhi, in a major goof-up, held up a photograph of a woman whose face was peppered with alleged pellet gun wounds. 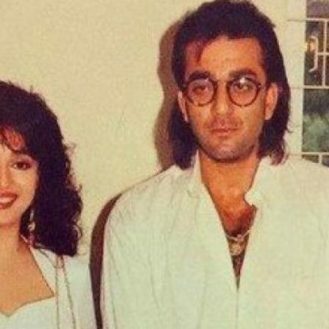 “This is the face of Indian democracy,” Lodhi said of the picture which had no connection with Kashmir. 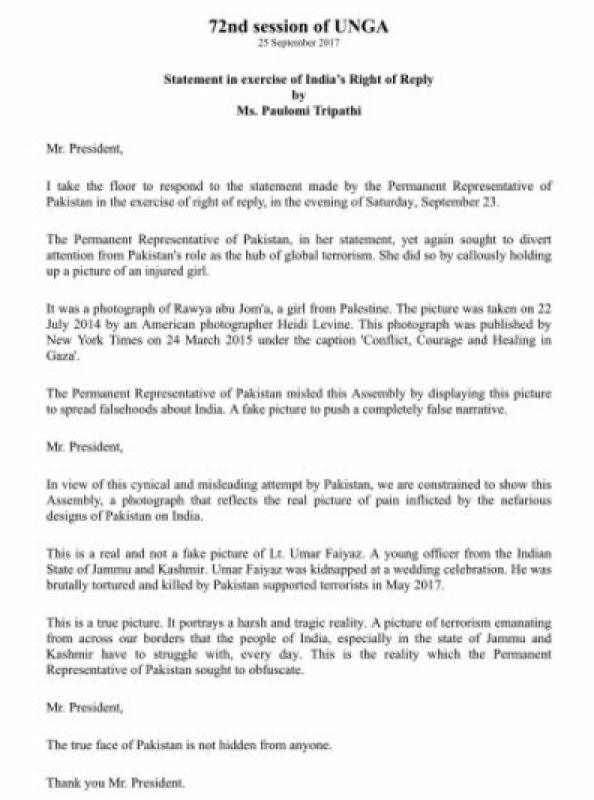 “The Permanent Representative of Pakistan misled this Assembly by displaying this picture to spread falsehood about India. A fake picture to push a completely false narrative,” said Paulomi Tripathi, a junior most Indian diplomat at the Permanent Mission of India to the United Nations. Tripathi took the floor of the General Assembly to exercise India’s right to reply to the blistering attack by Lodhi. “The Permanent Representative of Pakistan, in her statement, yet again sought to divert attention from Pakistan’s role as the hub of global terrorism. She did so by callously holding up a picture of an injured girl,” Tripathi said. “The picture was taken on 22 July 2014 by an American photographer Heidi Levine. This photograph was published by New York Times on March 24, 2015 under the caption ‘Conflict, Courage and Healing in Gaza’,” she said. “In view of this cynical and misleading attempt by Pakistan, we are constrained to show this Assembly, a photograph that reflects the real picture of pain inflicted by the nefarious designs of Pakistan on India,” she said showing a picture of Lieutenant Umar Fayaz. 22-year Umar, who was posted with 2 Rajputana Rifle, was picked up from his house at Harmein in Kulgam in May. The body of the young officer was later found three kilometres from his house. “This is a real and not a fake picture of Lt Umar Fayaz. A young officer from the Indian State of Jammu and Kashmir. Umar Fayaz was kidnapped at a wedding celebration. He was brutally tortured and killed by Pakistan supported terrorists in May 2017,” Tripathi said showing the picture. “This is a true picture. It portrays a harsh and tragic reality. A picture of terrorism emanating from across our borders that the people of India, especially in the state of Jammu and Kashmir have to struggle with, every day. This is the reality which the Permanent Representative of Pakistan sought to obfuscate. The true face of Pakistan is not hidden from anyone,” Tripathi said as she displayed the two pictures again to the international community. Speaking on behalf of Pakistan, Tipu Usman, counselor at Permanent Mission of Pakistan to the UN, claimed, “Kashmiris want freedom form brutal Indian occupation”. “Kashmiris will take bullet after bullet; pallet after pallet but will never give up. The real issue is of human life, of human eyes, of children and infants blinded forever,” he said. Usman alleged that India’s diversionary tactics will not change the situation on ground. “It is the situation on ground that India has to answer for. It is the call for legality, morality and conscience that it has to answer for,” he said.